Please Stand By – Make Mine Criterion! Every now and then, things get a little bit hectic but MMC! isn’t falling apart. The truth of the matter is that things are piling up a bit now. MMC! has been a little quieter of late and I expect that will continue as July closes with me attending a 4+ day film festival and much of August will see my attention focused with a family move. More important to MMC!, I’m also working on a larger than usual proposal that celebrates the return of the Criterion Collection’s Eclipse sets with … an imagined Eclipse set. While I won’t be totally absent over the next few weeks, MMC! will probably slow down but good things are on the horizon. Thanks for sticking around dear readers (both of you). Forever might not start tonight, but it should start pick up in the near future. Coming Soon to This Blog! Rated FN for Film Nerdy. Business travel has left MMC! quiet of late and now we’re gearing up for some extended blogathoning later this month and into June. We’ll have imagined editions of The Human Vapor, Matango, Very Happy Alexander, Miracle on 34th Street, and Random Harvest. Then, in July, MMC! will have its biggest, most elaborate proposal yet! In the meantime, we will still be active, offering some smaller posts on some favourite topics (and maybe even an announcement if things work out). Stay tuned! MMC! is on the road right now and while our next proposal is essentially ready to go up, the computer provided in my hotel room doesn’t seem to love all of the robust options available in WordPress, meaning I can’t quite get our next post to include the usual array of links and whatnot. For that reason, I’ll keep plugging away at drafts for further titles in the meantime and delay our next post just a few more days. Thanks for your patience and check back in for our next imagined Eclipse set, this one celebrating one of Japan’s great director-actress collaborations. The flu has cut through MMC! headquarters like German strikers through the Brazilian defence. It’s a sweaty, sleepy, sore-throated battle that we are fighting and, thankfully, slowly winning. We hope to bring our next post on a film noir favourite (at least to us) as soon as possible. 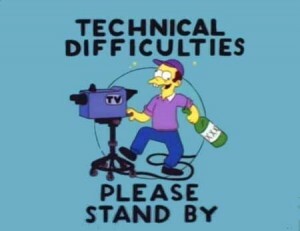 Please stand by, film fans!